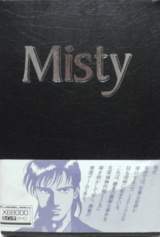 Misty 68K Vol. 6 - Nido Me no Organ © 1990 Data West, Inc. Released on November 22, 1990 in Japan.